Trying to buy your first property can be an exciting, nerve-wracking, sometimes heartbreaking but ultimately thrilling process. Everyone who has gone through it will agree that it is a rollercoaster ride of emotion but there are things you can do to make it easier and – hopefully – a shorter, more successful process. The London property market moves very fast, with many properties being snapped up almost immediately, or sometimes even before they come onto the open market. The best advice we can give to a first-time buyer is to have as much as possible arranged or decided in advance of starting your search. 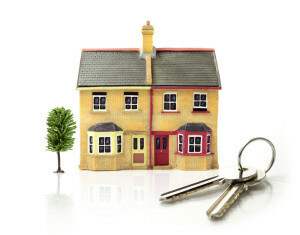 This ensures that the minute you see the property you want, you are in a position to move on it immediately. Many vendors won’t accept an offer without a guarantee that the money to fund the purchase is available to the buyer. Therefore, it makes sense to speak to your lender before you start looking for property and make sure that you have written confirmation of their mortgage offer. If you are putting down a cash sum as a deposit, make sure you have proof of the availability of that money too. Have a long hard think about what you want from your property. How many bedrooms do you want? Do you want a separate kitchen and living room or are you happy with a combined open-plan space? Is outdoor space a necessity? Once you have decided what you want, decide what is a ‘must’ and what is a ‘nice-to-have’. Also think about where you want to be – how easy will it be to get to work? If you have all these things worked out in advance, it will be easier to sift through properties that are available and quickly decide if they are a suitable option. The Government is currently offering a range of financial assistance for first time buyers through the Help to Buy scheme. Subject to certain criteria, you may be able to secure a 95% mortgage, a shared-ownership deal, a mortgage guarantee or an additional equity loan in addition to your mortgage. Full details can be found at www.gov.uk. Go and visit Estate agents in your preferred area and let them know what you are looking for, your budget and your timescale. Make sure they know you are a first-time buyer as this makes you a slightly more attractive buyer as you have no chain (i.e. no house to sell before you can proceed with the purchase). Also, tell your friends, family and colleagues what you are looking for. The more people you have ‘looking’ for you, the more likely you are to hear about new properties coming on the market. You will need to have a solicitor in place to do all the legal work required when buying a property (also referred to as ‘conveyancing’). Again, it will save you time and effort during the actual property search if you have arranged this in advance. One of the best ways to pick a solicitor for this task is to speak to friends and colleagues and get a personal recommendation. If you follow these suggestions, all you should need to do once you find your perfect property is make a few phone calls to get the ball rolling on the purchase. Hopefully, it won’t be long until you are sitting with your feet up in your very first home. Happy house hunting!